This recruitment is being conducted to fill per diem positions in Correctional Health Services and to be used to fill future openings. Candidates must be available to work every other weekend and be available on an as needed basis. Correctional Health Services provides health care to adult inmates at the San Joaquin County jail facility, located at 7000 Michael N. Canlis Blvd, French Camp, CA 95231. The care is mandated by Title 15, Division 1, Sub-Chapter IV of the California Regulatory Code. To work in the County jail facility, applicants must pass a rigorous security clearance which is a condition of employment.  More information about the San Joaquin County jail facility and the mandatory security clearance is contained in the supplemental application which must be completed and submitted with the standard County employment application. Shift: Nurses employed at Correctional Health Services shall receive a 5% Nurse Specialty Pay. Positions at Correctional Health Services are 8-hour shift. This position will receive 20% pay supplement in lieu of benefits. Correctional health care (CHC) nurses are in charge of the medical care of inmates. The nurse is responsible for completing health assessments, conducting triage, accepting or refusing patients in booking, making appropriate medical, dental, and mental health referrals. CHC nurses work in multiple areas including a busy medical unit with the potential of 35 patients to one RN. Assessment and documentation skills are essential in a jail setting due to the legal responsibility and potential for lawsuit. The nurse is responsible for overseeing the work of LVN’s, psychiatric technicians, medical and dental assistants. The nurse must also have excellent skills in venipuncture, IV infusion including PICC line care, drug calculations, and medication administration. When needed, the RN provides emergency medical care. Duties are including but not limited to performing CPR, applying AED, infusing intravenous medications, wound care, and initiating standardized procedures. In addition, the RN must be able to identifying drug and alcohol abuse and treat accordingly. Experience: Six months as a registered nurse in an acute care or mental health facility. Substitution: One year of experience as a Registered Nurse in a correctional health or juvenile detention facility. Licenses and Certificates: Current registration as a nurse in the State of California; Current CPR certification. Desirable Requirement: Previous correctional experience as a Registered Nurse preferably with strong assessment skills, and experience in electronic medical record charting.